The scene at Circuit of the Americas today is probably the reason why people use the phrase “make it rain” metaphorically. 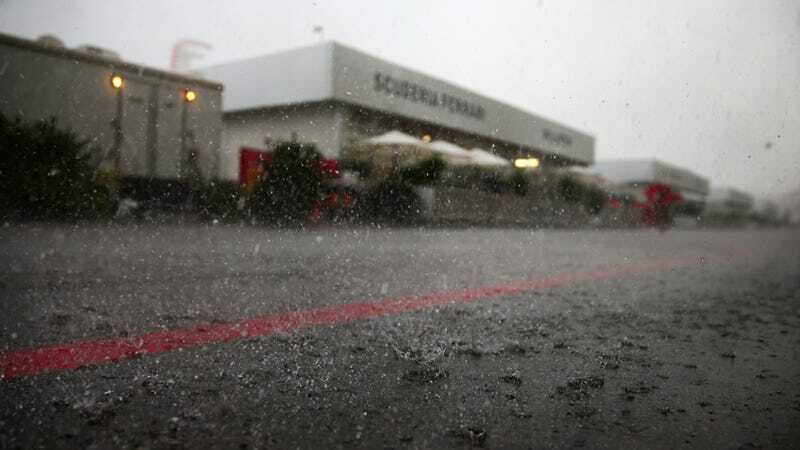 As of right now, the track sits under a torrential downpour and officials cancelled Formula One’s second practice session this afternoon. There are two other sessions on the schedule for later today – Porsche Mobil 1 Supercup and Masters Historic racing – and the forecast calls for a 100 percent chance of rain tomorrow afternoon as well.